The "Hei-Matau" (fish hook) represents prosperity. strength, determination and good health, as well as providing safe journey over water. 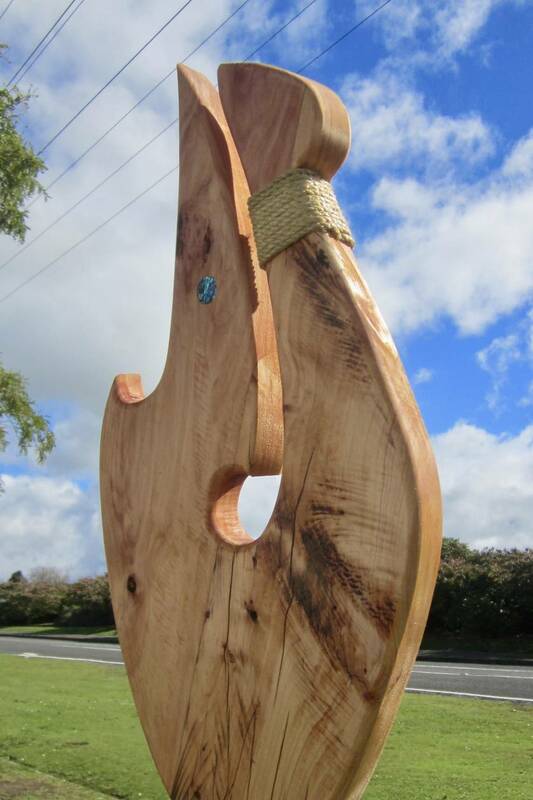 Your sculpture is made from New Zealand Macrocarpa & is not perfect, it has character, attitude, texture and soul. There will be imperfections as the timber has fought against steel blades to become the piece you see now. 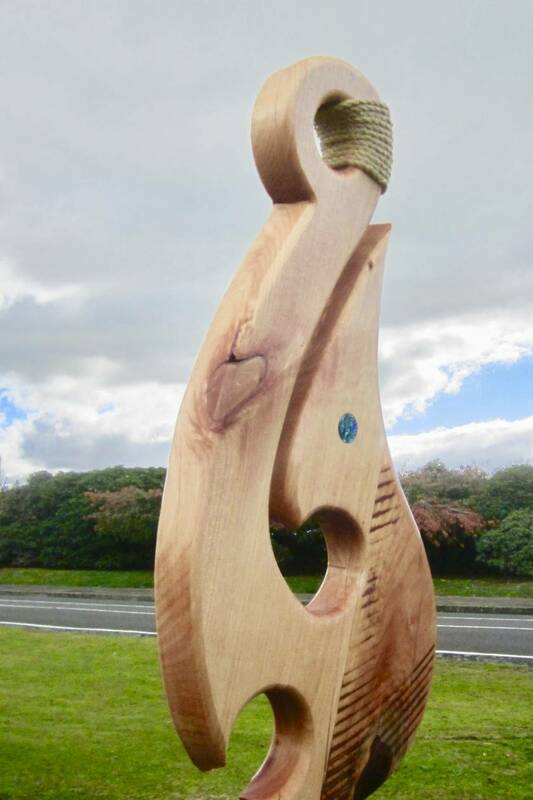 Macrocarpa is naturally durable timber which makes it a great organic alternative to treated timbers as there are no nasty chemicals. ***GET SOME "ORIGINAL" ART! all my works are individually hand made so no 2 are the same. It has a steel rod to hold it in position, which can be easily removed if desired. Commission works are available. $POA. I can make any size you like-just ask. 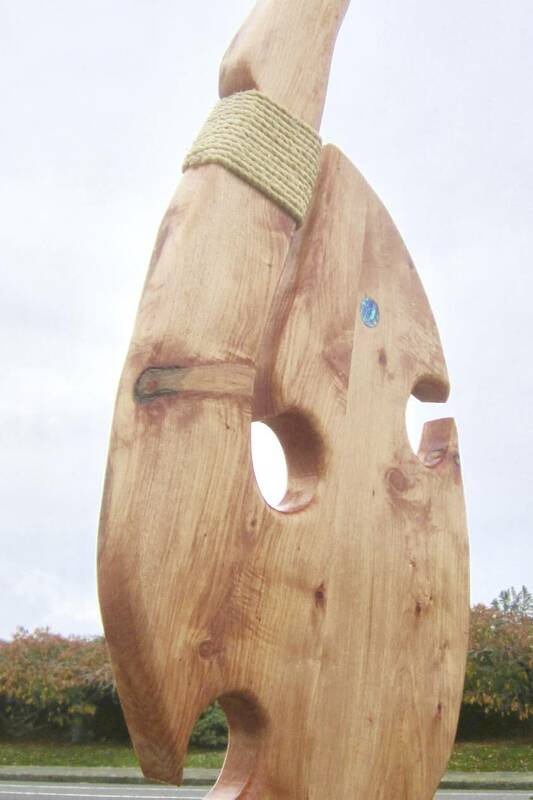 Please see my other listings for more sculptures. KEYWORDS. 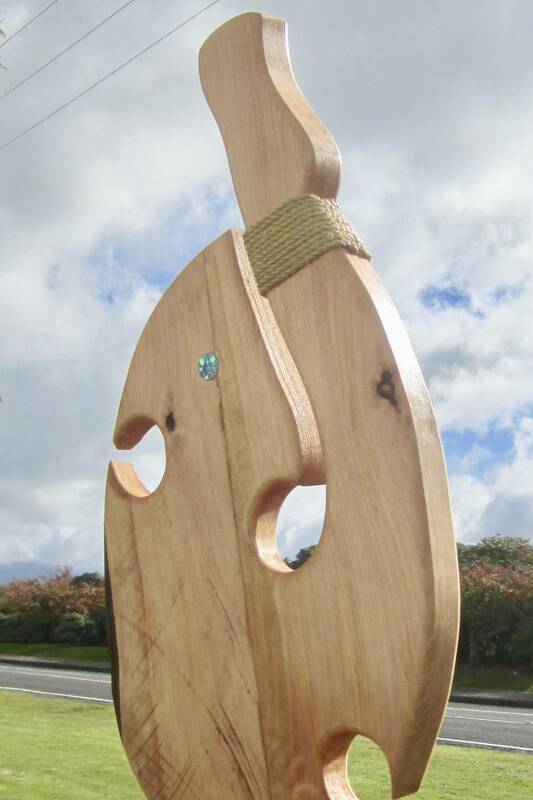 Garden Art, Art, Gift, Natural, Organic, Sculpture, Koru, Macrocarpa, Wedding present, New Zealand. Contact marchelle to enquire about payment or shipping options.